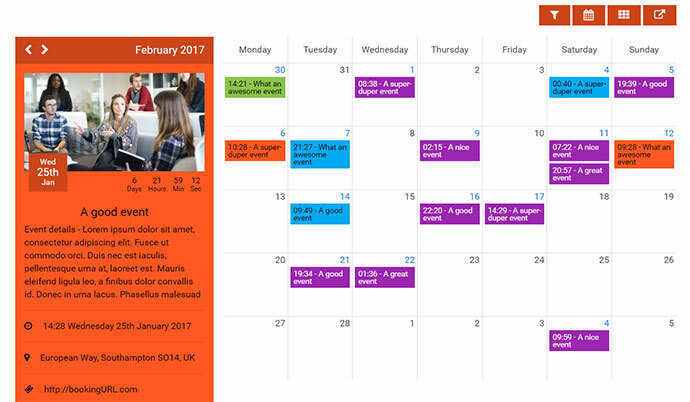 Is an flexible and easy to integrate jQuery plugin to display events on your website in calendar that syncs events from either a .json file or your database. Lightweight and powerful datetimepicker with no dependencies. It is a quick highly customizable jQuery plugin. The design is clutter free & well suited for embedding it into mobile application development. 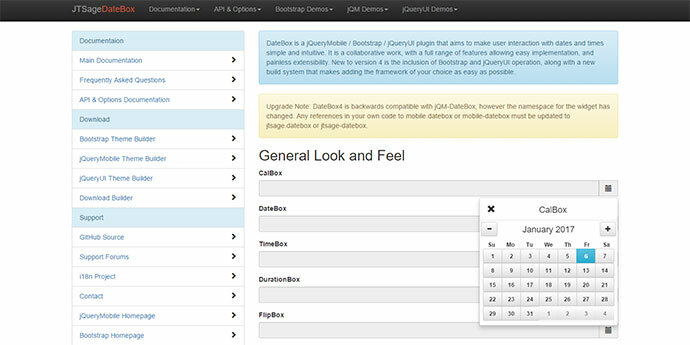 DateBox is a jQueryMobile / Bootstrap / jQueryUI plugin that aims to make user interaction with dates and times simple and intuitive. 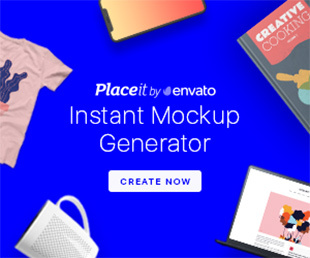 It is a collaborative work, with a full range of features allowing easy implementation, and painless extensibility. 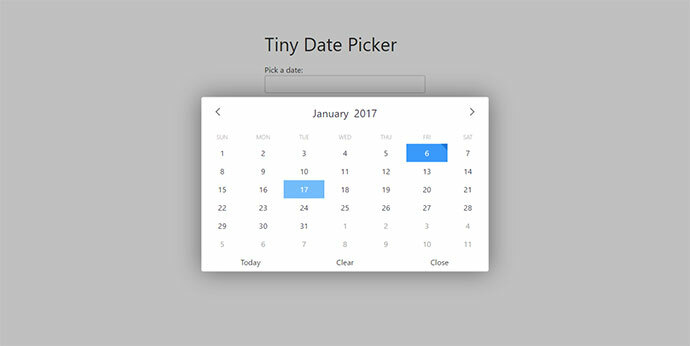 A light-weight date picker with zero dependencies. Date picker and range selector with scrollable months instead of paged (the only right way to do it). 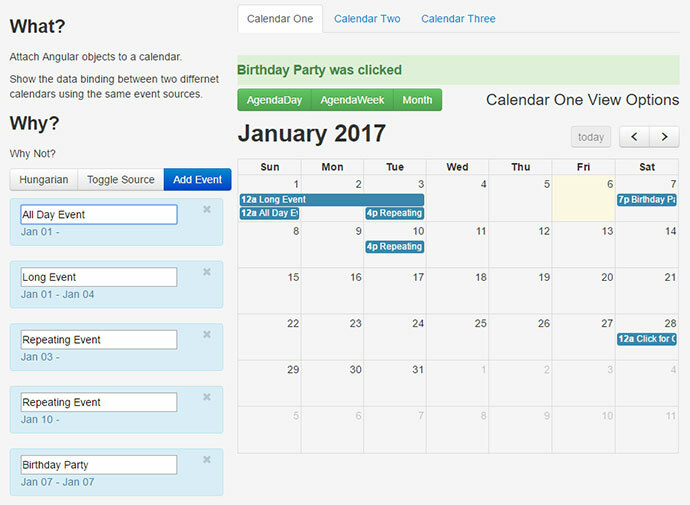 Allows user to select a date range. 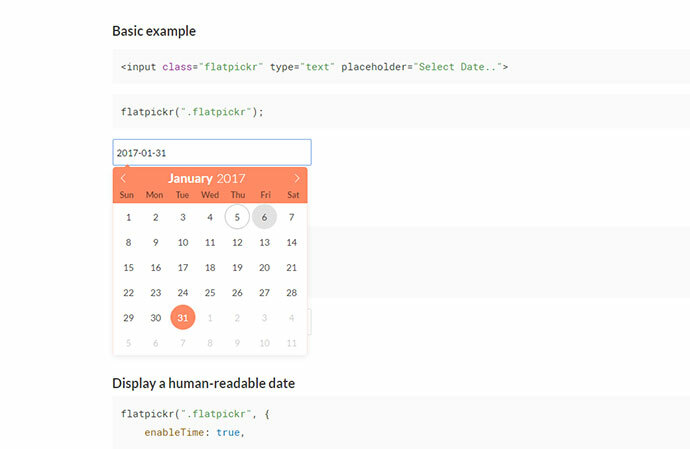 A carefully crafted date picker for React. 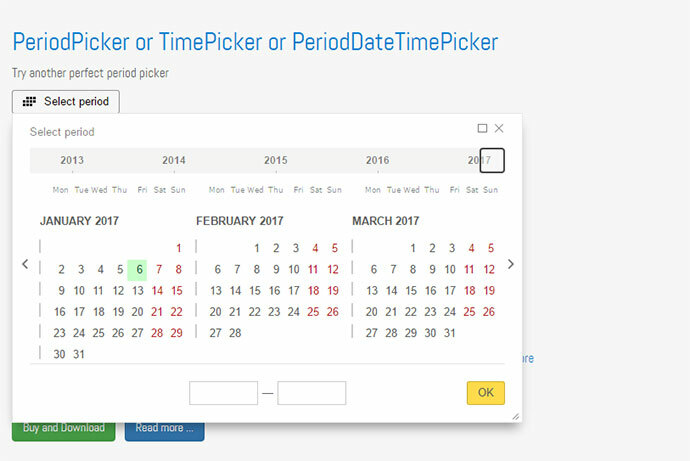 Use this plugin to unobtrusively add a datetimepicker, datepicker or timepicker dropdown to your forms. It’s easy to customize options. 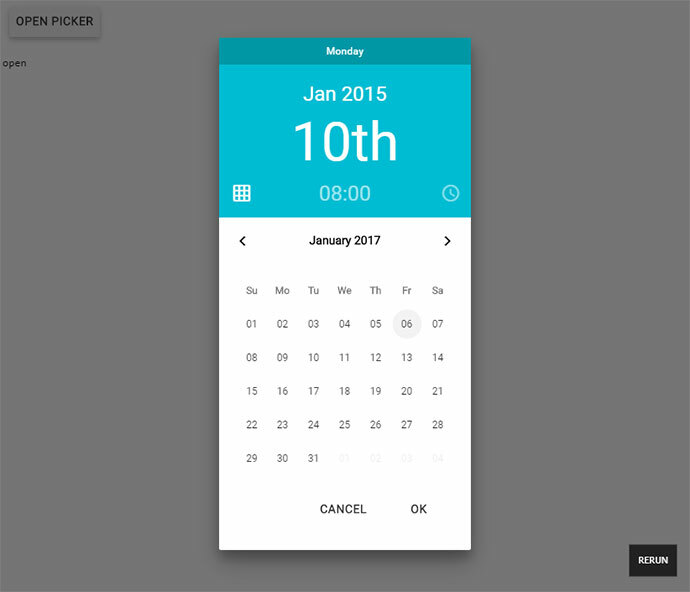 A take on the material design date picker modal, built for the web. 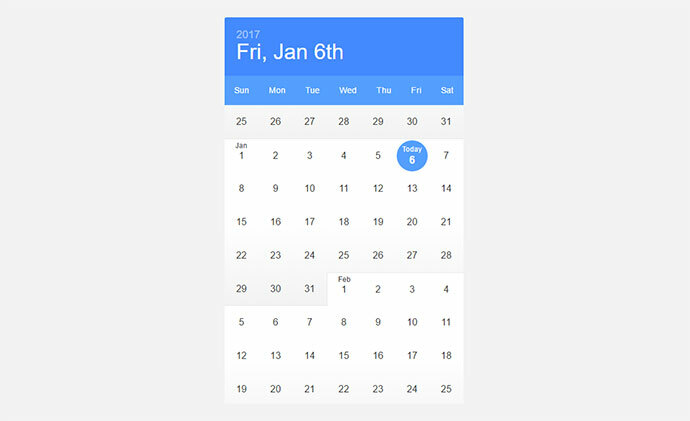 Infinite scrolling date-picker built with React, with localization, themes, keyboard support, and more. 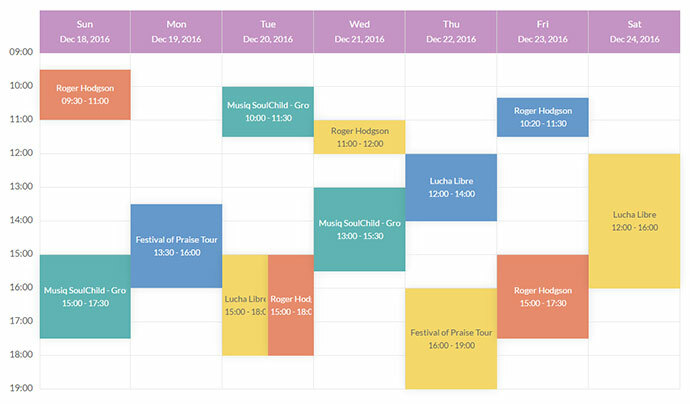 A jQuery based responsive calendar plugin. 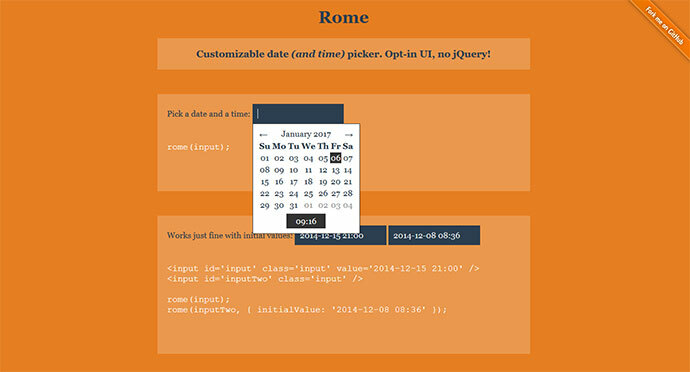 Customizable date (and time) picker. 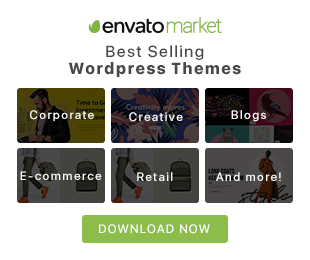 Opt-in UI, no jQuery!